Mega Millions is one of the biggest American lottery games and originally was called the "Big Game". Later on, was re-named to the "Big Game Mega Millions" in 1996 and tickets was offered on sale in various US states that include Illinois, Maryland, Georgia, Michigan, Massachusetts, and Virginia. As we know, there is premium ball that is drawn from separate drum, and has its original name "Gold Ball". The name for this premium ball was also changed in 1996 to Mega Ball, as known today. On the right picture: MegaMillions player choose her own lucky numbers, using blank play-slip (play-card). There are two American biggest lottery games: MegaMillions and Powerball. Both games never disappoints us, by producing huge jackpots on the regular basis. However, MegaMillions leads the game with all-time world's record lottery jackpot, mean $656 million in 2012. Please use the MegaMillions "Magaplier" feature to increase your winnings!. Let us assume that you matched all five regular (main) numbers, means you won Mega Millions second category prize, next after jackpot. When you select the Megaplier option, you can increase your prize from the regular level of $1,000,000, to a $5 million!. Amazing! Megaplier option also increase other secondary prizes, excluding first prize (jackpot). On the left picture: Megamillions blank play-card play-slip. MegaMillions is an American multi-jurisdictional lottery game of chance, played in the United States, and featuring jackpots of at least $12 million starting point. To play the MegaMillions lottery game, a player picks five regular numbers from the range of numbers from 1 to 75 (white balls) and one additional number (the Mega Ball) from the range of numbers from 1 to 15 (a gold-colored ball). The Mega Ball number can be a duplicate of one of the white ball numbers since the additional ball is drawn from separate drawing machine. When MegaMillions draw take place, main ball numbers and Mega Ball number are drawn from the two separate lottery draw machines. On the right picture: Two Megamillions lottery drawing machines in TV studio. MegaMillions drawings are held every Tuesday and Friday at 20:00 (8:00 pm Pacific Time) and are held at TV studio, in Atlanta, Georgia. Due to the time differences (even in the United States), please check the time difference, in order to avoid missing/late tickets purchase. As from October 2013, Mega Millions jackpot always start with an $15 million guaranteed minimum first prize, and with the rule of $5 million jumps between draws, if there is not a winner of jackpot. If you win the 2nd place prize (mean if you hit five main numbers) the prize is worth now $1 million. Jackpot is paid in 30 annual installments. However, if you choose to receive your jackpot in one lump-sum payment, then the cash value of your winning is about 50 %. The tax requirement for lucky winners is around 34% and vary, from state to state. The overall odds of winning an any prize is as 1:15. The odds of winning the smallest prize in MegaMillions are as 1:21 and you need to hit only bonus number (Mega Number) to win this prize. It's always a pleasant thing to win even the smallest prize. However, if you want to win the first prize (jackpot), the odds of winning are as 1:258,890,850. With nine prize categories (divisions) and Megaplier option that multiply the secondary prizes, lottery players have many possibilities to win some huge secondary prizes, if they are not lucky in hitting jackpot. MegaMillions players can use Megaplier feature, which is a special and exciting addition that allows a lucky winner to multiply the original prize amount. Megaplier apply to secondary prizes only (does not include jackpot prize). MegaMillions player can multiply her/his secondary prizes by 2, 3, 4 or 5 times. Please note that 2nd prize division (when you hit five regular balls) and when playing with Megaplier option, could be multiplied by 5X for $5 million cash prize. Shortly saying, Megaplier option can multiply any non-jackpot prize amount won by 2, 3, 4 or 5, depending on the Megaplier number drawn. During MegaMillions drawing, the Megaplier number is picked at random before each draw. A player must choose the Megaplier option when she/he buy their Mega Millions ticket and costs an additional $1 per game (as for October 2013). Please check the latest American MegaMillions lottery results, upcoming next draw date and upcoming jackpot figure, right below or at the beginning of this page. American Megamillions lottery is available to play virtualy from any place in the World, using credit card, debit card and other electronic payment methods, including PayPal, Skrill/Moneybookers or bank transfer. If you can’t get to any participating state in the United States in person, you can buy MegaMillions lottery tickets online, easily, simply and fast. 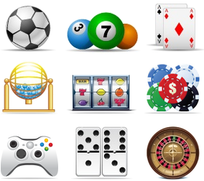 Play the Megamillions lottery online and win on some of the biggest America's jackpots. Lottery happy prize winner celebrates his big victory!. Mr. Ronald Willis scored a whopping $120 million jackpot, by playing MEGA Millions®, Please watch video below, as he plays it cool during his victory dance.